Showing results for tags 'mark bagley'. I'm trying to sell several Amazing Spider-Man comics that I purchased over 10 years ago and I noticed there are signatures on a few of them. I've seen other uncertified signatures by Mark Bagley being sold on Ebay that match mine but they look forged since they don't match his signature or any other individual's signature on any CGC Certified copies of Amazing Spider-Man. I've attached a photo, any idea if this is real or fake? If they are fake does that make the comic worthless or just reduce condition greatly. What would a 9.8 grade be downgraded to due to a forged signature and are there any services that could clean the signature ink off without damaging the cover? We are currently taking submissions for a Mark Bagley signature opportunity on 11/18/2017. CGC and signature fees are 60.00 for modern books. Please contact us for submission deadline & shipping information. We are glad to submit under your account. Email us at: agentsofslabs@gmail.com. Don't miss this great chance at this very special price. 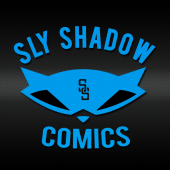 Sly Shadow posted a topic in Comics Market - Want To Buy! Looking for a clean raw copy of Mark Bagleys 1:25 variant of Scarlet Spider #1 from 2012. NTX COMIC BOOK SHOW - July 15th & 16th, Dallas - STARLIN, BAGLEY, SUYDAM If you are on your way to San Diego, as a dealer or fan, why not stop in Dallas for the next North Texas Comic Book Show on July 15th & 16th? We're giving the board a little advance notice as this event has not been formally announced yet. We have another good line up planned with Jim Starlin, Mark Bagley, and Arthur Suydam as early announcement guests. We'll be at the Irving Convention Center for this event so ez access and destination. More info will be available here on May 1st and thereafter. The North Texas Comic Book Show has been putting comics back into comic cons since 2011. Tickets will be $15/day, or $25/two day, with packages available for Mr. Starlin and Mr. Bagley. We'll post more soon. Hope you can make it out. I have a couple ASM 361's that I would like to get Bagley to sign. He will be at Montreal weekend of July 7/8 and then the following weekend in Irving, TX at NTX comic show. Any facilitators attending? Haven't seen any posts or schedules posted, but just curious. Thanks.